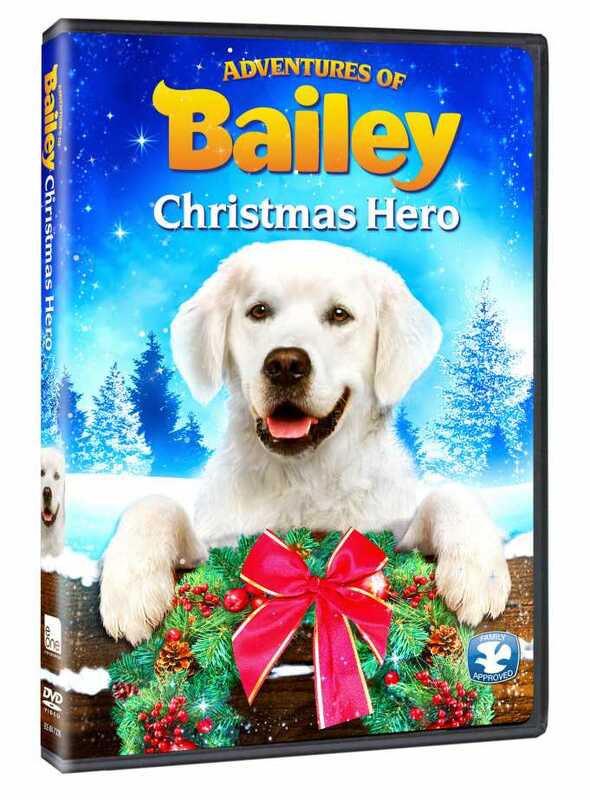 "It’s Christmas time at the Baker household and Bailey is at it again in this new Dove-approved family-friendly live-action holiday film that'll have kids ho-ho-ho-ing with glee when it arrives on DVD this November! Worried that he won’t get any presents from Santa because he’s been a bad doggie, Bailey learns of a mysterious Native American Indian brave who may be able to make his Christmas wishes come true. With visions of tennis balls, squeaky toys and dog bones dancing in his head, Bailey sets out to find this legend in the woods. But when his misguided actions threaten the Baker family’s Christmas plans, Bailey must make a decision that helps him finally understand the “true” meaning of Christmas." What we thought: This is a great family-fun movie to get everyone in the spirit of the Christmas season while teaching the true meaning of the holiday (in a different way than we've ever seen) according to Native American traditions. We really enjoyed watching this heart-warming movie. What a wonderful DVD to share with the whole family:) ABCD Diaries gives Adventures of Bailey: Christmas Hero an A!